As video games as a medium continue grow and evolve, one thing that we’ve seen come to the forefront more and more, especially in the indie scene, is games tackling themes of mental health. Titles like Celeste, Hellblade: Senua’s Sacrifice and Night in the Woods are recent, prominent examples of experiences that approach the subject matter in different ways. Whether through narrative, audiovisual experience or gameplay itself, video games are in a unique position to communicate the nuances of mental illness in a way that other mediums can’t. It’s also important that games are representing these themes in considered, constructive ways without feeling ham-fisted or exploitative. Anamorphine, a new title for by developer Artifact 5, is another to add to that growing list of games that explore the effects of trauma on the human mind, the strain that mental illness puts on relationships and the universally-relatable struggle of moving on from the past. I recently had the opportunity to speak with Artifact 5’s producer, Samantha Cook, about their game, the research and care involved and the trials of being a small developer. WP: First of all, hi! And thanks for taking the time to talk to us about Anamorphine. SC: Hi, the pleasure’s all mine! Samantha Cook here, co-founder and producer at Artifact 5. WP: What can you tell us about the story in Anamorphine (without spoiling too much, of course)? SC: Anamorphine is the story of Tyler, his wife Elena, and the turns their relationship takes as Elena’s depression rears its head after an accident. You’re playing through Tyler’s memories, trying to piece together what happened to both of them, and why his memories are in such a twisted state. WP: What sparked the decision to make a game centered around mental illness? Was this borne of personal experience at all? SC: Our team has a mix of experiences with mental health issues. The story is not autobiographical, but there are elements we’ve pulled from our lives. Personally, I have many friends and have dated people dealing with mental health issues. About 20% of people will experience a mental health issue in their lifetime, which means the amount of people who know someone going through that is very high. 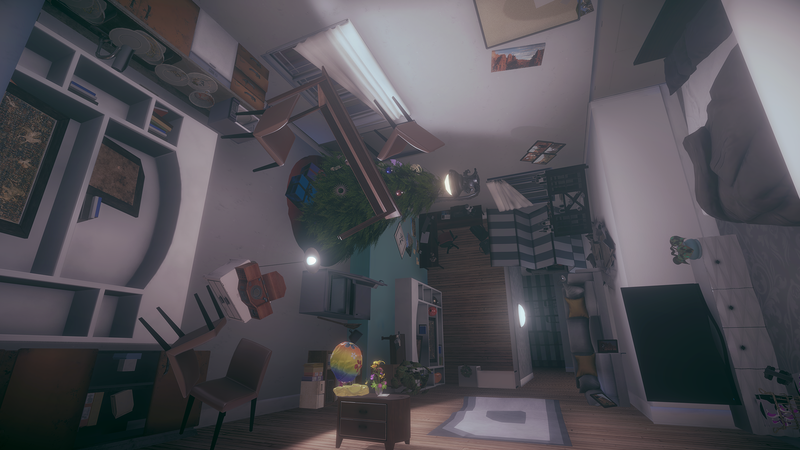 So, making a game about someone not being sure how to help his struggling partner felt like something extremely relatable. WP: Following on from that question a little, the crux of Elena’s story is that she is a cellist, what was the reasoning behind choosing that particular instrument and profession? SC: The cello is a beautiful instrument, visually and musically. It’s large enough to really take up space in the game. People who devote their lives to music are often passionate and talented, but also underpaid and have had to devote themselves to a lifetime of intense study in order to rise to the top. It’s evocative to depict someone who has put so much into her profession and passion, only to lose it. WP: I like to think that video games are a great medium for helping people interpret and understand aspects of mental health, what are your thoughts on other games that have tackled similar themes? SC: One that’s gotten a lot of great responses was Hellblade: Senua’s Sacrifice, which is an intense game that tackled psychosis through a fantasy world. This game put you in Senua’s shoes, and it was very effective at giving people a perspective on what it is like to not be able to trust the things your brain is telling you. Outside of Senua, games about depression and anxiety seem to have a mixed reputation. Some people don’t want to play a game that reminds them of daily life, and that’s totally fine. We want to make this game for the people who want a different kind of gaming experience that tackles real-life issues by exploring them through highly surreal introspection. We want to make this game for the people who want a different kind of gaming experience that tackles real-life issues by exploring them through highly surreal introspection. WP: The themes and content of the game seem like a great fit for VR, did you have VR in mind before you started designing the game or was it something that developed over time? SC: At the very beginning we focused on PC, but we decided early on that VR would be a great medium for the game. This was back when all we had was the Oculus DK1 and the mass market Oculus and Vive weren’t out yet, and we wanted to be part of the new wave of VR games. Unfortunately, the game took a bit longer to create than expected, so we’re nearing the second wave of VR consoles now! WP: Exploring mental illness and trauma can already be a pretty heavy thing, how do you manage that in something as immersive as VR? Do you expect some people to find it all too much for them? SC: Some experiences like horror games have been found to be too much in VR. Anamorphine is intentionally not a horror game, it’s atmospheric and dark instead. As to how people will experience, your mileage may vary depending on your history and what kinds of games or experiences speak to you emotionally. WP: I imagine a lot of care needs to be taken with this sort of subject matter, what sort of research and communication outside of the studio was involved? SC: We consulted with a psychoanalyst early on, when we were creating the story. We wanted to make sure we weren’t creating a scenario that was too outlandish, and treating the characters and their mental health with respect. We’ve also consulted informally with a friend who works in video game ethics to ensure we weren’t going down the wrong path, and I hope we’ve managed to keep things realistic while still allowing for surrealism and some artistic license. WP: What do you think somebody who has suffered/suffers from similar conditions to Tyler and Elena will get out of Anamorphine versus someone who maybe hasn’t? SC: Our goal was to reflect real-life experiences. If you’ve been through something like this, it might hit you close to home. While that can be painful, I hope it will also help people feel represented in the media they consume. If you haven’t been through this or seen someone going through it, perhaps it can shine a light on what it’s like to deal with loss, guilt, depression, and more. WP: You’ve described Anamorphine as having no dialogue and no ‘action’ button, how do those things work mechanically? Will this be a mostly passive experience? SC: While there’s no action button, the beauty of the game is in experiencing the strange ways each scene shifts into the next, and finding the triggers to continue through the game. The lack of action button also emphasizes the character’s inability to change the past. It’s less passive than watching a movie, and you have a choice in how it ends. Ultimately, it’s simple, meditative, and engaging. WP: I’m a huge fan of more ‘experiential’ titles like this, but I also feel like categorising them as ‘video games’ means a lot of non-gamers might pass on something they’d actually enjoy! How do you find your market with something like this? SC: While we know plenty of gamers will love it, we would like to find a way to market it to non-gamers, too. I like to tell people that if they enjoyed “Eternal Sunshine of the Spotless Mind,” they’ll enjoy Anamorphine. I would love to be able to sneak it into a film section of an app store as an interactive experience, but it’s a big game that doesn’t shrink down into app format, so we’d have to find a really clever way to market it to people who typically don’t go looking for games. WP: You’re also including support for non-VR play, is that in an effort to reach a wider audience? SC: The VR market is still relatively small. We wanted the most people possible to be able to play the game, regardless of platform, so having it on PC and PS4 is important to us. WP: What are some of the challenges of developing a game for VR and ‘flat’ gaming at the same time? SC: Flat is still simpler to develop for, and it’s where we started in our development. Making sure the experience matches the flat experience (aside from the sheer awesomeness of getting to play in VR) has been important. All I can really say is that our programmers have spend a lot of time tweaking a tons of little things to make it a seamless experience. WP: Artifact 5 are a very small team. What are some of the challenges in that? And what do you see as the benefits? SC: The challenge is that we’re only 4-6 people, depending on where we are in the development cycle, and it can be hard to build such a complex game with such a tiny team. But it’s great to be committed to the development of the game together, to all make design decisions together, and that everyone gets some input. There’s no one above us breathing down our neck, and while there’s a lot of responsibility in that, there’s also great freedom. WP: Anamorphine was originally scheduled to launch much earlier in the year, what happened there? I hear there may have been some issues in getting the PS4 version up and running? SC: Anamorphine is our first game as a company. While we all came from the games industry, we had never shipped on PC or consoles, let alone VR. A lot of indies stagger their game releases as they’re ready, but we were intent on doing a simultaneous release. While we thought we were ready in early December, we didn’t actually realize how much of a challenge the PS4 version would be, so we had to delay to make sure it would pass certification. This included fixing crashes for about seven months, which was a real slog. Happily, however, it gave us time to polish the game at the same time, and we’re all much happier with what we’re releasing now than with what we would have shoved out the door in January. The moral of the story is, games usually take longer than you think, even with the best intentions and planning. WP: What are some of the biggest lessons learned during the development of Anamorphine that you’ll be applying to the next project (if there is one!)? SC: We have ideas for the next one, we’d like to start prototyping as soon as we can! We’ve learned that solid planning is important, but so is expecting change and iteration. When you’re taking on a platform you’ve never touched, like PlayStation, expect the unexpected. And finally, test early and often. During the early and middle parts of production, we wouldn’t make many builds, and would therefore always be shocked by random bugs popping up right before we had to take them to major showcases like PAX East. Build and test you game, folks! WP: Finally, what are your/everyone’s most memorable gaming moments? SC: This is a different way of answering you question, but: half of our team is from the Middle East, and didn’t grow up playing the same consoles or games we did here in North America. We’re currently playing through Zelda: Ocarina of Time on an N64 with the whole team, which for some of us is nostalgic, and for the others is completely bizarre. They didn’t understand at first why we love this game with (by today’s standards) ridiculous graphics, but as we continue to play, they’re getting into it, and we get to take a trip down memory lane. It’s a fun way to bond as a team! WP: Thanks again for your time, I’m really looking forward to checking out Anamorphine, and best of luck with the launch! 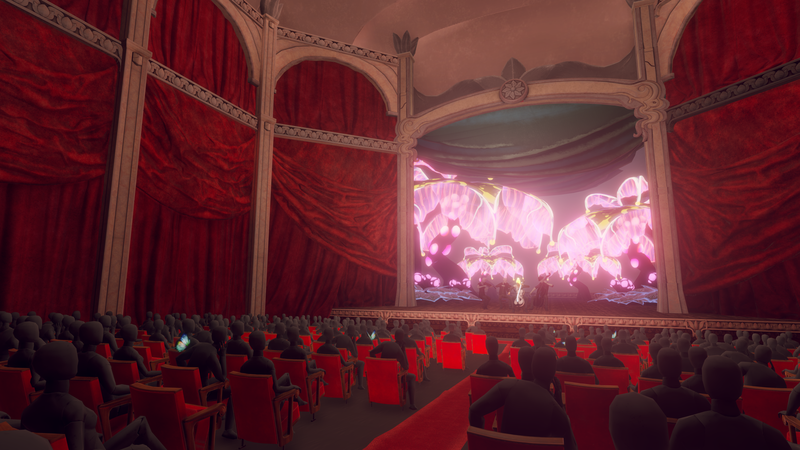 Anamorphine is available now for PC, HTC Vive, Oculus Rift and PlayStation 4 with a PlayStation VR version planned for later in the year.